New Delhi: The CAG has rapped the government for the four-five-year delay in setting up six new AIIMS under the Pradhan Mantri Swasthya Suraksha Yojana (PMSSY) and flagged deficient project and contract management, administrative laxity and weak monitoring. The scheduled dates for completion of six new All India Institutes of Medical Science or AIIMS were between August 2011 and July 2013. The Comptroller and Auditor General (CAG), in its report “Performance Audit on Pradhan Mantri Swasthya Suraksha Yojana” tabled in Parliament today, said deficiencies in execution of works including improper estimation of scope and quantities, extra payment to contractors and poor contract management had a financial implication of Rs 140.28 crore, including Rs 39.96 crore of excess or extra payments to contractors. The performance audit, which covered the period from 2003 to 2017, stated several departments out of 42 sanctioned had not become functional in the new AIIMS and there were shortages of beds in the hospitals ranging between 43 per cent and 84 per cent. There were delays in installation of equipment ranging from three months to 42 months and equipment with an estimated cost of Rs 454 crore remained undelivered for periods over two years. “The delays in procurement of equipment arose mainly from poor contract management as well as engagement of staff who lacked the requisite qualifications that undermined the quality of medical services that were being delivered by these premier institutes that were expected to adhere to the highest standards of medical education and patient care,” the report pointed. The position was worsened by a shortage of faculty posts and non-faculty posts in the new AIIMS which ranged from 55 per cent to 83 per cent and 77 per cent to 97 per cent respectively, it stated. “Construction works were not completed by scheduled dates in any of the new AIIMS and there were delays of about four to five years,” the report said. Upgradation of existing state government medical colleges and institutions (GMCIs) was similarly delayed in many cases with only eight out of the 19 GMCIs selected for audit were completed. In cases where construction work had been completed, some super speciality departments could not be made functional primarily due to a shortage of equipment and staff, the report stated. Deficiencies in planning and award of works as well as non-adherence to codal and contract provisions resulted in extra expenditure of Rs 17.65 crore. The institutes also faced the shortage of manpower required to run the new facilities and departments. Further, 19 out of 41 facilities had not been upgraded, it highlighted. The CAG recommended that the Health Ministry should frame operational guidelines that would guide and regulate the implementation of the scheme across the states and take steps to expedite the completion of leftover work by better monitoring of the projects. “Ministry may take effective steps to minimise the shortage of faculty, non-faculty and technical manpower in new AIIMS and GMCIs so that the intended benefit to the beneficiaries be made available,” it said. The Pradhan Mantri Swasthya Suraksha Yojana (PMSSY) was announced in August 2003 with the objective of correcting the imbalances in the availability of tertiary healthcare services and improving the quality of medical education in India. The scheme comprised setting up of AIIMS-like institutions and upgradation of existing state government medical colleges and institutions (GMCIs). In its first phase, the scheme envisaged setting up six new AIIMS and upgradation of 13 existing medical institutions. Over a period of time, the scheme has been expanded to cover 20 new AIIMS and 71 GMCIs in six phases. 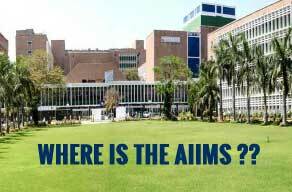 You can set up the AIIMSs but where is the faculty. Our Govt thinks setting up and releasing money is the end all. However the crunch is in finding the faculty. With the current wage structure this will not happen.